It seems like we have done this story before. Sidney Crosby, the closest thing to Wayne Gretzky we have today, has returned to the ice after an indefinite absence due to concussion like symptoms stemming from a pair of collisions on the ice in early January 2011. A few months ago Crosby returned for just a few weeks. In that time he scored at least one point in nearly every game he played. But then the symptoms resurfaced and Sid the Kid was forced to hang up the skates for another indefinite absence. This week, Crosby returned again. In his first game he netted one assist and only took one shot on goal. 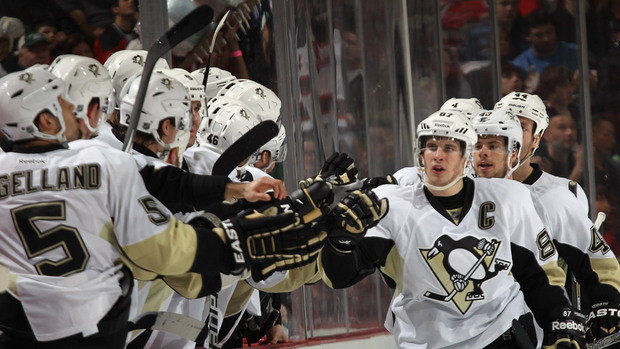 Today on the other hand, Crosby had three assists as the Penguins beat the New Jersey Devils 5-2. Crosby said after the game that he was beginning to regain his instinct and is thinking less and less on the ice as he is becoming used to playing again. Crosby took 6 shots on goal in just over 15 minutes on the ice. Now eyes are on how long this comeback lasts. We have seen many hockey greats retire early due to concussions. With Sidney Crosby being one of the biggest NHL stars since Gretzky, everyone is hoping that Sid the Kid will not add to that unfortunate list.